Ai Group Apprentice and Trainee Centre is a Group Training Organisation who employs apprentices and trainees then places them with Host Organisations. 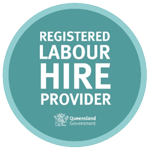 We provide support for all apprentices and trainees by way of our mentoring program which fits in with a regular cycle of visiting in the workplace and training provider. We are there to assist and guide you through not only the apprenticeship/traineeship but where necessary provide support and assistance to allow you to successfully complete your work and training commitments and gain your qualification. > Understand electrical, mechanical and architectural drawings and diagrams to determine job specifications and requirement. > Plan and measure the layout of the wiring systems. > Diagnosis and repair of faults in the electrical and electronic components of all types of vehicles. > In addition to lighting, starting, charging and ignition systems, the widespread use of on-board computers has given an added dimension to the complexity of an automotive electricians work. > These computer systems are now used to control central locking systems, power windows, air conditioning, cruise controls and electronically controlled vehicle systems. This apprenticeship is a Skills Shortage Trade. Employees of Ai Group ATC are expected at all times to uphold the values of integrity, honesty and excellence and must exhibit a strong work ethic.